New Year's Resolutions be damned, we just can't get enough of these insanely poppable dishes. The perfect sugary snack after chowing down on pizza or pasta (or anything, really) is bomboloni (above) from Frankie & Fanucci’s (202 Hartsdale Ave; 914.725.8400). These doughnut holes are filled with Nutella and covered in cinnamon-sugar. Kick-start your dinner with O Mandarin Chinese Cuisine’s (361 N Central Ave, 914.437.9168) flaky Shanghai spring rolls. Tantalizingly tasty and crunchy, they are stuffed full of mushrooms, bamboo, and smoked bean curd. One of Westchester’s newer spots, Único (10 N Central Ave; 914.607.3363) serves dishes with international influences, like tangy fried goat cheese with Mayan Melipona honey and fresh rosemary. A few weeks ago I wrote about St. Andrew’s Day Program for stroke victims. It’s located in Hartsdale. They took a winter break shortly after I posted info about them and some residents have asked that I re-send. 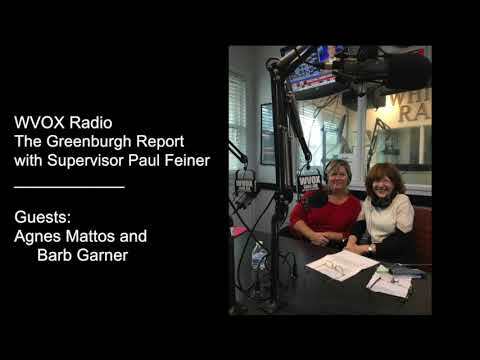 Also, please find below a link to the radio interview I conducted with Agnes Mattos and Barb Garner—both of Greenburgh. St. Andrew's Day Program (101 North Central Ave, Hartsdale- tel: 914-448-5645 or www.standrewsdayprogram.org) is dedicated to providing a safe environment that encourages group participation and socialization. They offer group and individual speech activities. Members participate in moderate physical activities such as stretching, the Wii interactive computer game, dancing and similar creative exercises. There are holiday and birthday parties. Live music is offered. Arts and crafts projects and gardening are part of the fun. The program runs on Tuesday and Thursday's from 10 am to 2 PM. The cost: $20 per day which includes snacks, fruit, juice, coffee and tea. Members who come with health aides should ask the health aides to stay. But, family members could leave -enjoy some free time for themselves. The group meets at St. Andrew's Church, -program entrance is at 104 N Washington Ave, Hartsdale). WVOX Interview Paul Discusses Amazing St Andrew's Day Program with Agnes Mattos and Barb Garner Town of Greenburgh 2018.